Founded in 2005, VernissageTV (VTV) is the Internet’s unique TV art project, which covers exhibitions and events in the fields of contemporary art, design and architecture. We produce films and videos for our web series, as well as for museums, galleries, and art spaces. 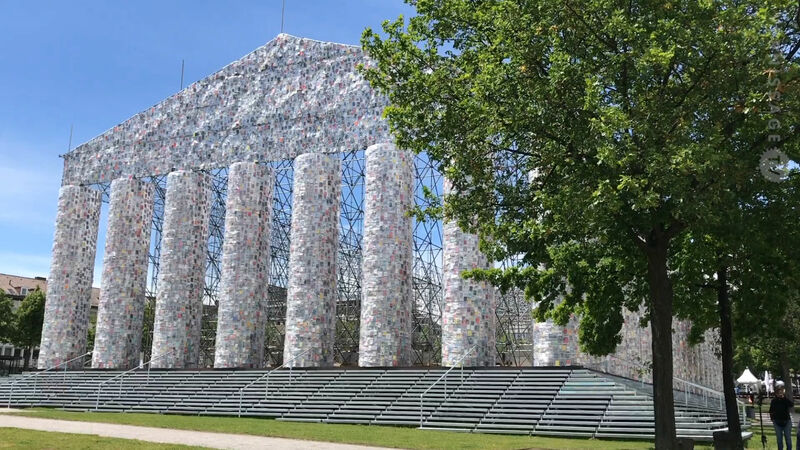 VernissageTV also provides institutions and filmmakers with footage from its huge archive of more than 3,000 films on contemporary art, design and architecture. VernissageTV publishes the 50th episode of its VTV Classics (r3) series. 2018, October: Trailers for Fondation Beyeler and Museum Rietberg. Footage for the Bruce Nauman exhibition trailer of The Museum of Modern Art and MoMA PS1, New York. Footage for upcoming original streaming media television series. 2018, September: VernissageTV publishes its 3,000th episode. 2018, July: VernissageTV hits 70,000 subscribers on YouTube. 2018, June: Two VernissageTV films featured in the exhibition “Double Lives” at MUMOK, Vienna (Austria). 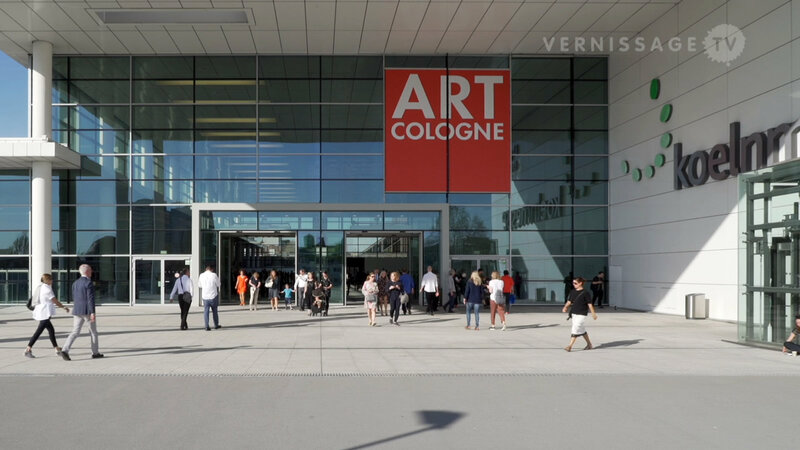 2018, April: In collaboration with German “Art – Das Kunstmagazin”, VernissageTV reports live from the art fair Art Cologne 2018. 2018, April: VernissageTV hits 68,000 subscribers on YouTube. 2017, November: VernissageTV hits 60,000 subscribers and more than 3,6 Mio. views per month on YouTube. 2017, July: VernissageTV hits 45,000 subscribers on YouTube. 2017, April: In collaboration with German “Art – Das Kunstmagazin”, VernissageTV reports live from the art fair Art Cologne 2017. 2017, March: VernissageTV hits 40,000 subscribers on YouTube. 2017, February: More than 1 Mio. views per month on YouTube. 2016, Oct.-Nov.: Short Documentary for Davidoff Art Initiative. 2016, November: VernissageTV migrates website to a new server for improved performance. 2016, October: VernissageTV hits 30,000 subscribers on YouTube. 2016, May: Collaboration with electronic band User 383913618. 2016, March: VernissageTV hits 25,000 subscribers on YouTube. 2016, January: Website update enhances search and navigation functionality. 2015, December: Extended collaboration with Huffington Post Arts & Culture. 2015, September: VernissageTV turns 10. 2015, July/August: Archive Update (From Blip to YouTube). 2015, July: VernissageTV hits 20,000 subscribers on YouTube. 2015, March: VernissageTV produces and publishes its 2,500th episode. 2014, November: VernissageTV hits 15,000 subscribers on YouTube, more than 300,000 views per month on YouTube. 2014, September: VernissageTV documents Marina Abramovic’s The Artist is an Explorer for Fondation Beyeler. 2014, September: VernissageTV hits 13,000 subscribers on YouTube, more than 250,000 views per month on YouTube. 2014, July: VernissageTV hits 12,000 subscribers on YouTube, and 7,000 followers on Twitter. 2014, June: VernissageTV documents 14 Rooms Live Art Exhibition in Basel for Art Basel, Fondation Beyeler, and Theater Basel. 2014, May: VernissageTV launches new, responsive website. 2014, May: Arts Documentation workshop in Cairo (Egypt), organized by Medrar.TV and supported by the Swiss Arts Council Pro Helvetia. 2014, April: VernissageTV documents Fujiko Nakaya’s Veil for The Philip Johnson Glass House. 2014, February: VernissageTV hits 10,000 subscribers on YouTube. 2012, November: VernissageTV becomes Artslant partner. 2012, May: VernissageTV starts producing short documentaries for Fondation Beyeler. 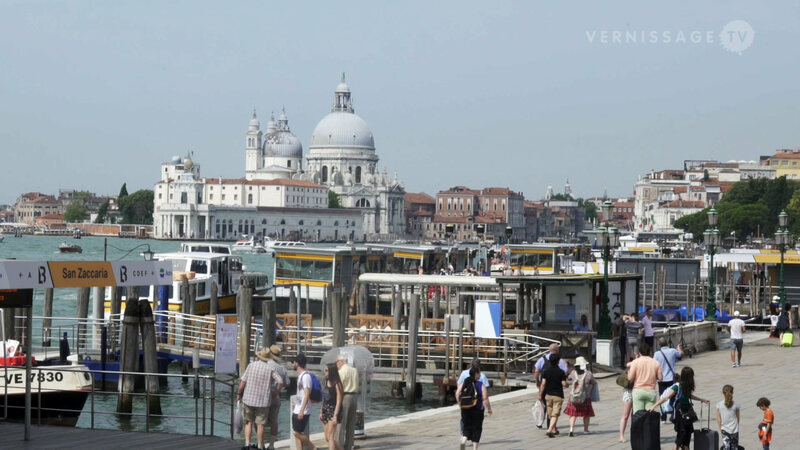 2011, July: VernissageTV becomes Huffington Post Arts partner. 2011, January: VernissageTV hits 1,500th episode and introduces the “R3” series, re-mastered, re-edited versions of VernissageTV Classics, reissued in HD. 2010, October: VernissageTV celebrates 5th anniversary. 2010, June: VernissageTV produces short documentaries for Schaulager Basel; International Design Museum Die Neue Sammlung / Pinakothek der Moderne and Alessi; New Media Institute Plug.in, Basel; S AM Swiss Architecture Museum in Basel; and Zurich University of the Arts. 2010, April: VernissageTV starts publishing videos in HD. 2010, March: VernissageTV’s studio “Triath” by GernerGernerPlus Architects nominated for the 2nd “Award for Marketing + Architecture”. 2010, January: VernissageTV produces short documentaries for Velux Stiftung Daylight Award. 2009, August: VernissageTV becomes Dailymotion partner. 2009, August: VernissageTV available via Cable, IPTV and Satellite on Art Channel. 2009, May: VernissageTV becomes YouTube partner. 2009, April: VernissageTV presents Video Art Program at Art Cologne. 2009, January: VernissageTV celebrates its 1000th episode with a 3 day non-stop screening. 2009, January: VernissageTV’s launches optimized website for iPhone and iPod touch. 2008, November: VernissageTV available on mobile phones. 2008, September: Artfacts.Net and VernissageTV announce collaboration. 2008, April: VernissageTV broadcasts live and interactive from Schaulager Basel (Sosnowska/Zittel press conference). 2008, March: VernissageTV broadcasts live and interactive Christian Jankowski’s Kunstmarkt TV (Art Market TV, live auction). 2008, March: VernissageTV broadcasts live and interactive from Open Space / Art Cologne. 2008, January: VernissageTV starts publishing videos in wide-screen format. 2007, June: VernissageTV hits 1 Million downloads. 2007, June: VernissageTV streams live from Art Basel. 2007, May: VernissageTV publishes Episode No. 500. 2007, March: VernissageTV moves into new studio. 2007, February: VernissageTV becomes Blip partner. 2006, May: VernissageTV publishes the first issue of its pdf magazine. 2005, September: VernissageTV launches with two series “NO COMMENT” and “INTERVIEWS” on iTunes and website. If you are interested in advertising on VernissageTV or sponsoring our show, please contact Karolina at karolina at vernissage.tv. For content sales please contact Onmedia AG, Content Sales, content at onmedia.ch. From live and on demand coverage to video screenings and installations: If you are interested in having VernissageTV support your fair, exhibition, lecture, or event as media partner, please contact Karolina at karolina at vernissage.tv. In addition to its art channel, VernissageTV realizes commissioned work for art galleries, museums, artists, designers, architects, and film production studios. Fondation Beyeler, Art Cologne, Art Basel, Davidoff Art Initiative, Brasilea Foundation, Taipei Fine Arts Museum, ArtFactsNet, Art – Das Kunstmagazin, ArtMag Deutsche Bank, Plug.in Basel, Kunsthalle Basel, Schaulager Basel, YouTube, MutualArt, Velux Stiftung, Swiss Architecture Museum Basel, Goldman Properties Miami, De La Cruz Collection Miami, Die Neue Sammlung München, ZKM Karlsruhe, IKS Düsseldorf, Kunstmuseum Basel, Ikono TV, Swiss Institute New York, Vitra Design Museum, UBS Schweiz, Kanton Basel-Stadt, Robert Rauschenberg Foundation New York, Dailymotion, The Huffington Post, Hyundai, DAMN°, Arte, France 5, Swiss Foundations, Artslant, Bloomberg, Wall Street Journal, Contemporary Fine Arts Berlin, VRT Brussels, ORF, MuMoK, Metro Pictures, CNBC Milano Finanza.